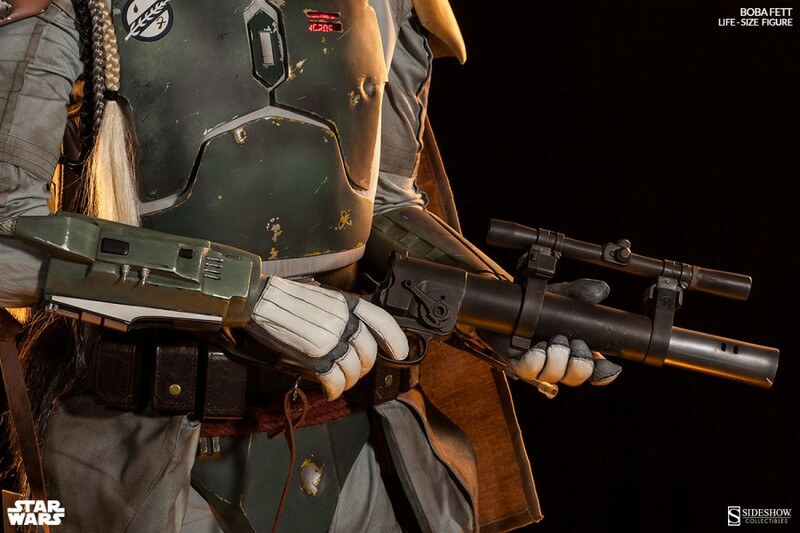 As you wish, the Boba Fett Life-Size Figure has arrived! 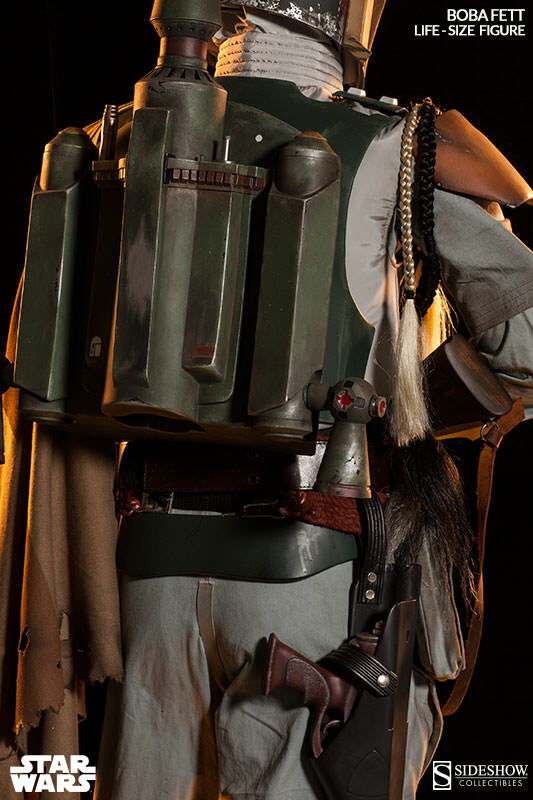 Sideshow Collectibles is proud to present the galaxy’s most feared bounty hunter with the Star Wars Collectible Boba Fett Life-Size Figure. Created in collaboration with the talented prop replica specialists at Tom Spina Designs, this magnificent six-and-a-half foot tall Star Wars replica of Boba Fett is so realistic, you’ll swear he jumped right off the Slave I! Standing confidently on a light up themed base, Boba Fett is decked out from head to toe in an authentic replica of his Mandalorian armor, featuring an articulated helmet with adjustable rangefinder, intricately detailed fabric costume and utility belt, a light-up chest panel, and braided Wookiee scalp accessories. 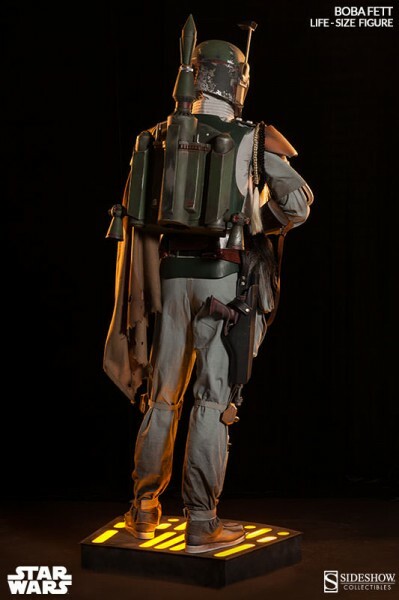 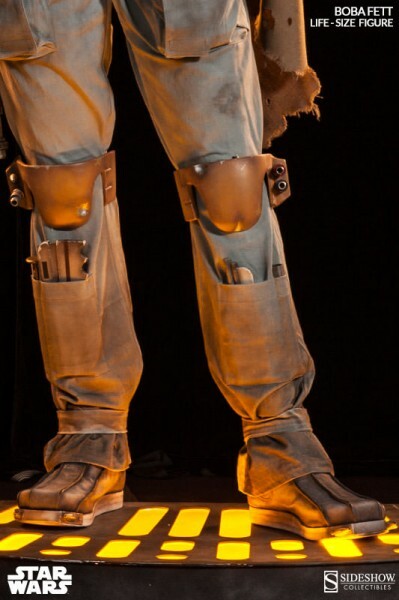 Armed with a blaster at the ready, and another holstered at his hip, the resourceful mercenary is equipped with his signature jetpack and keeps various tools of the trade stashed in his pockets. 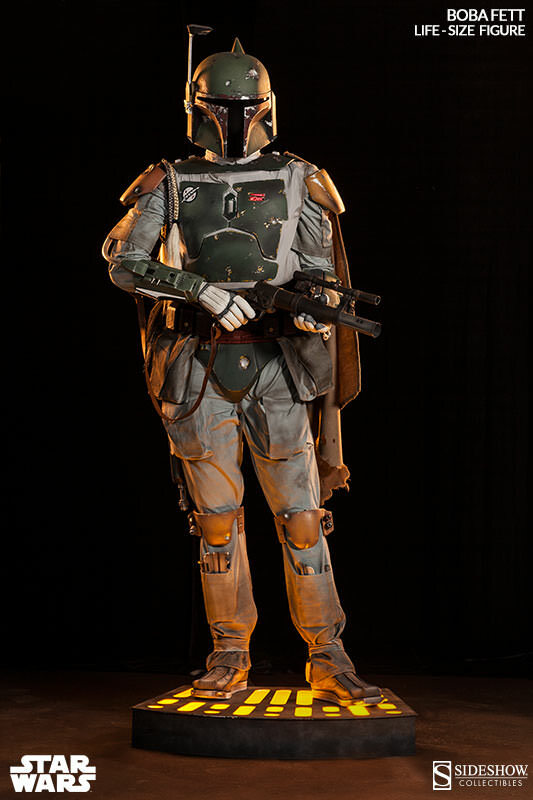 A perfect companion to the Han Solo in Carbonite, the Boba Fett Life-Size Figure is the ultimate collectible for fans of the Fett, a truly unique centerpiece in any home theater, mancave or Star Wars display. This piece will be offered for a special introductory price of $7499.00, with flexible payment plans available. 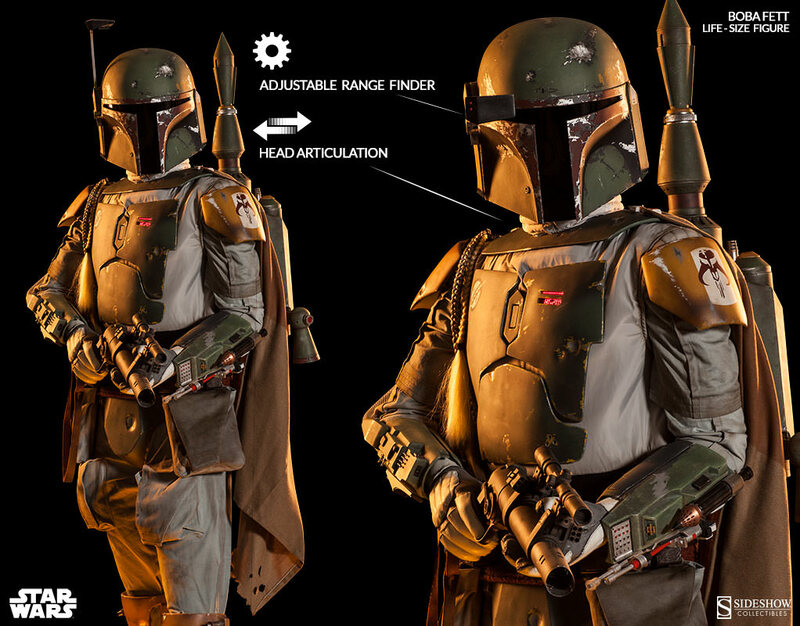 Enter for your chance to win a Darth Vader Life-Size Bust!